Erin is a second year PhD student in sociology. She received a BA in sociology and a BA in psychology from West Virginia Wesleyan College. She is currently a Graduate Research Assistant for Dr. Katie Corcoran. Erin's interests include prosocial behavior, altruism, and disaster preparedness and relief. Her current research focuses on the impacts of spontaneous volunteers' motivations and experiences on future volunteerism. Brittany is originally from the Chicagoland area, but has spent time in New Jersey. 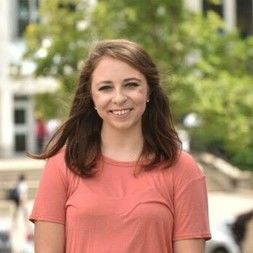 She received her BA in sociology with a double major in catholic studies, a minor in women and gender studies and a certificate from the honors program from Seton Hall University in 2015. She then began her graduate studies at West Virginia University. Brittany graduated with her MA in sociology in May 2017. Her master’s thesis focused on gender roles and their effect on attraction amongst college students. 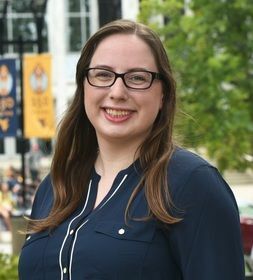 She is currently a first-year doctoral student in the sociology program at WVU and works as a graduate assistant for the department of sociology and anthropology. Her broad interests include (but are not limited to) gender, roles and religion. Ellory is a second-year PhD student in sociology, with an emphasis in crime. She graduated with a BA in criminology and a minor in sociology from the University of Pittsburgh at Johnstown in December of 2016. She is now serves as a Graduate Teaching Assistant in the SOCA department. Her interests include, but are not limited to, media influences on perceptions of crime, terrorism, and victimization, victimology, and white-collar crime.